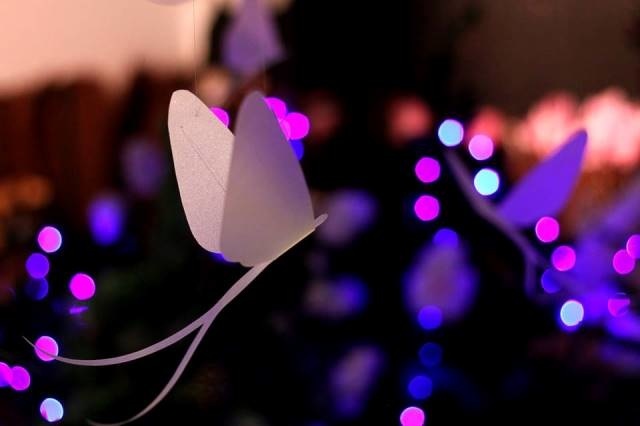 I was commissioned by The Rheged Centre, Cumbria to create mayflies to use in their Winter Wonderland. 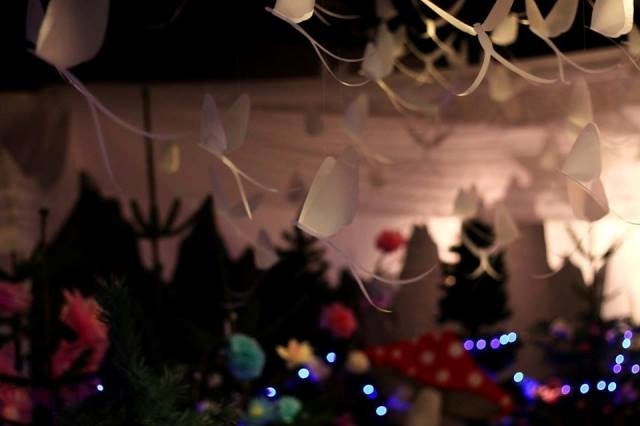 The theme was enchanted forest and they had created a forest from Christmas trees with a little hut for Santa. 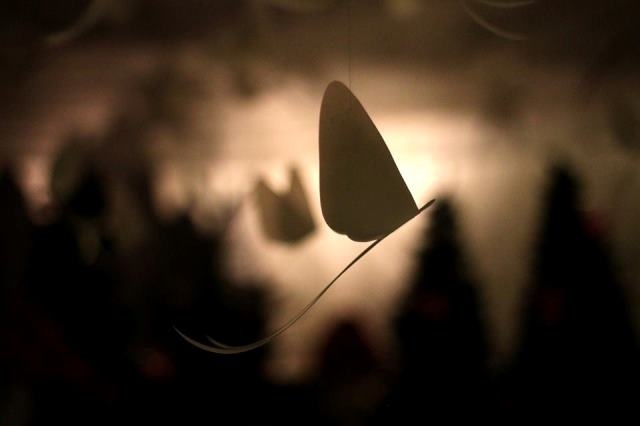 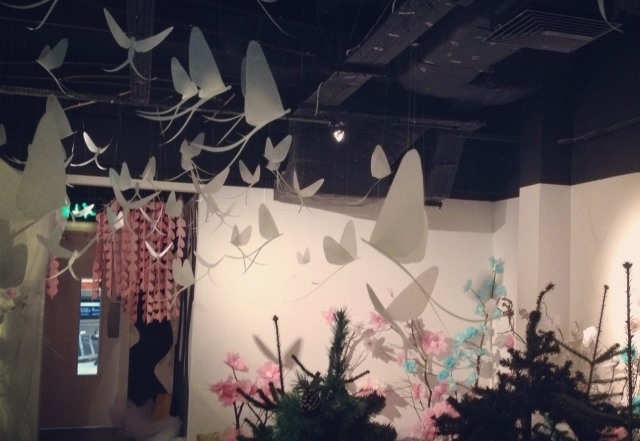 I created one hundred semi-opaque white mayflies which where suspended from the ceiling.